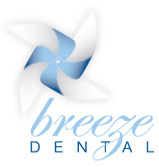 For more information on how we can help you achieve a healthy smile that looks great, please do not hesitate to contact the professional and experienced Gold Coast Dentistry team here at Breeze Dental. We can’t wait to see you soon! We are located on the other side of the road directly opposite the Helensvale Library and Cultural Centre.